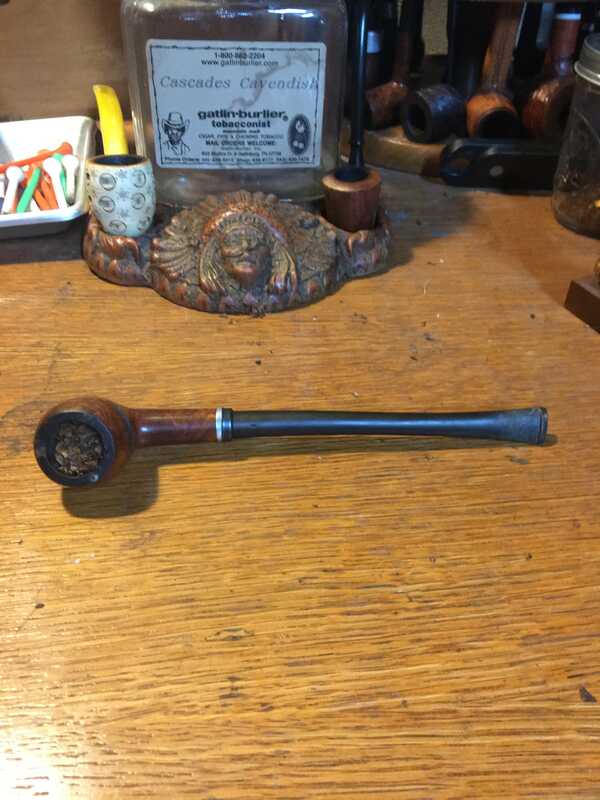 When you're smoking smoke right, yes when you smoke a pipe smoke Dr. Grabow. It's the only pipe in the world that's pre-smoked when you buy; quality is always first and that's the reason why, when you smoke a Grabow pipe you'll forget the rest. When you buy a Grabow friend, you've bought the best. Granger in a Medico magnetic top. One of my Dad’s pipes that he really liked.